Lock in a great price for The Majestic Malacca Hotel – rated 9.1 by recent guests! 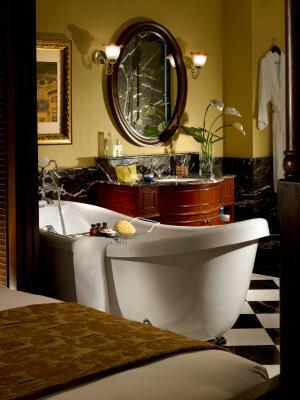 The feel of luxury, beautiful room with a rolled top bath and a lovely breakfast. 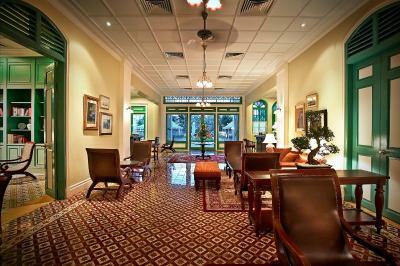 This property combines comfort with old age elegance. It respects its heritage, and yet is modern in its services and cleanliness. The staff are welcoming and efficient- we were extremely happy with our stay there. Everything! The staffs were very friendly and welcoming. The place is beautiful. They gave us nyonya kuihs every evening. Breakfast were excellent. The staffs are simply amazing! Such a hospitable and welcoming bunch of people where they greet you with a great smile and a cooling towel when you arrive. Also, I went there for a special occasion (my girlfriend's birthday) and they went the extra mile to surprise us with a beautiful cake and a thoughtful card - not to mention the beautiful decoration of the room when we arrived. It's little things like these that make the experience incredible. Thank you so much Majestic Melaka! Shame we only spent a day there. The highlight of our stay in Malacca. 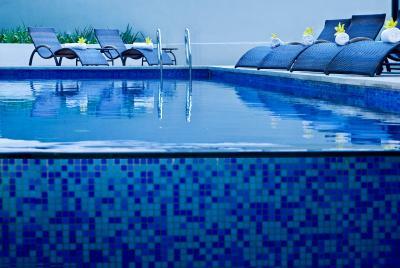 Excellent service and attention to detail made for a memorable stay. 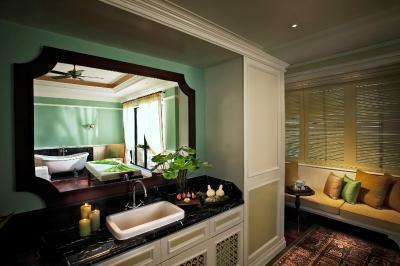 We were impressed with the bathroom and overall decoration of the room and hotel throughout. I highly recommend staying here if you visit Malacca. Awesome welcome drink and snack. Beautiful hotel and impeccable service. The room had a good ambience. The staff were professional and very friendly. 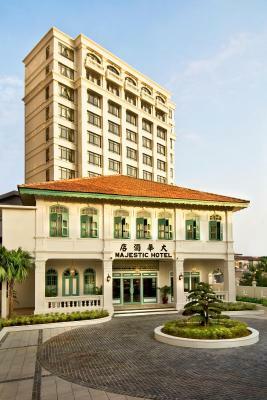 The Majestic Malacca Hotel This rating is a reflection of how the property compares to the industry standard when it comes to price, facilities and services available. It's based on a self-evaluation by the property. Use this rating to help choose your stay! 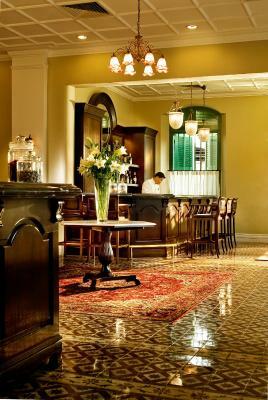 One of our top picks in Malacca.Boasting heritage architecture and parts of a mansion dated back to 1920, The Majestic Malacca Hotel is set along the banks of Melaka River and features elegantly decorated guest rooms. 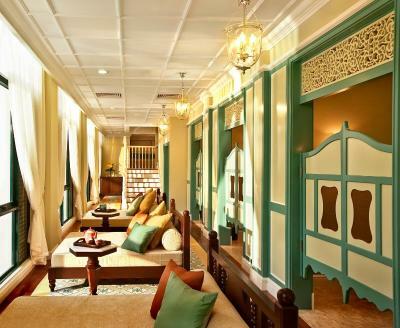 This boutique hotel hosts a spa with Peranakan-inspired treatments and an outdoor pool. Free WiFi is accessible throughout and free parking is provided. 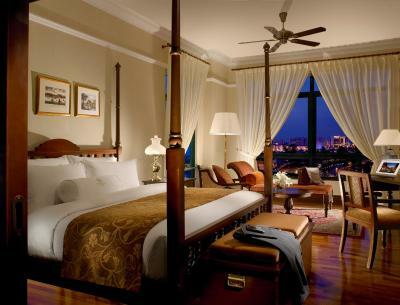 The bright and spacious rooms are well-appointed with floor-to-ceiling windows, timber flooring and teak bed frame. The private bathroom is separated by wooden sliding doors and features a top bath as well as luxury bath amenities. 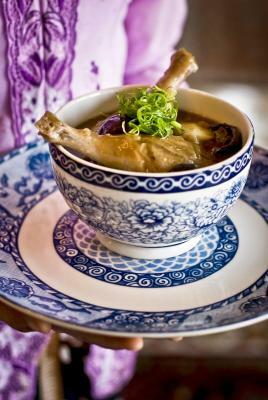 Melba at the Mansion specializes in Kristang cuisine and offers casual dining with a view. 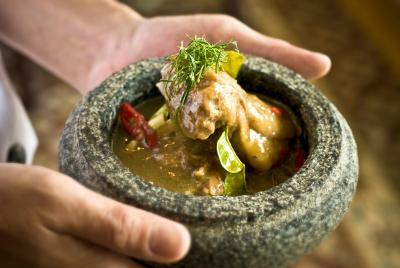 The restaurant is adorned with wooden furnishings and cultural memorabilia. 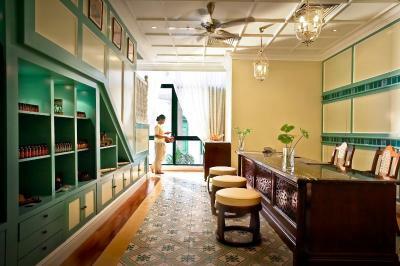 You can have a pampering Peranakan therapy at Spa Village or take a refreshing dip in the pool. 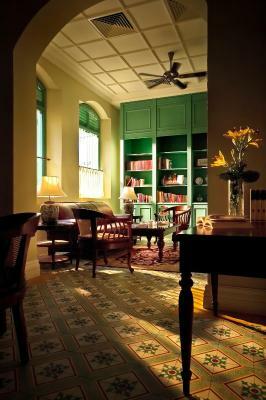 The hotel’s library offers a quiet spot for reading. Friendly staff at the 24-hour front desk are ready to assist you with airport transfers and tour information. 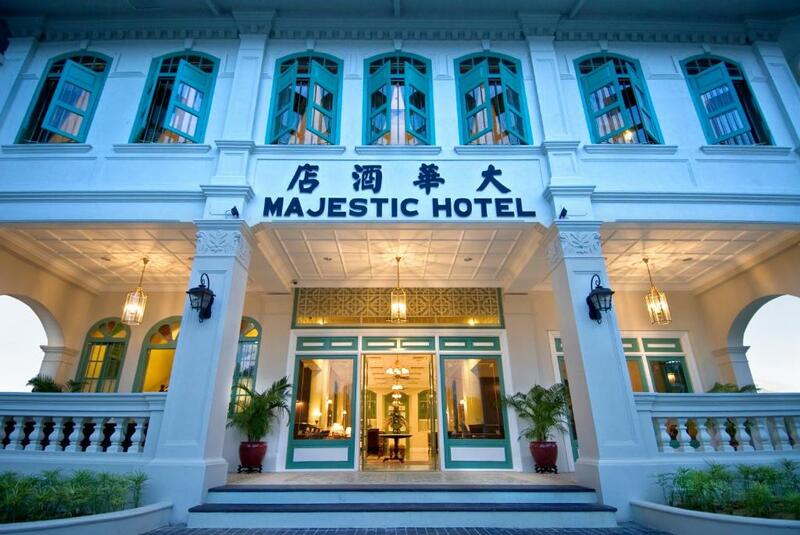 The Majestic Malacca Hotel is 0.7 mi from Jonker Walk and is 1 mi from A Famosa. Kuala Lumpur International Airport is 83 mi from the property. 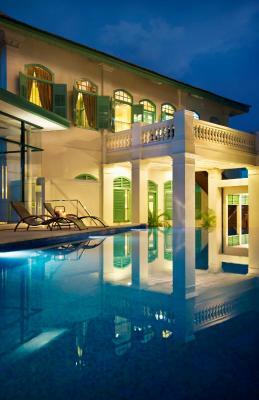 This property is also rated for the best value in Malacca! Guests are getting more for their money when compared to other properties in this city. 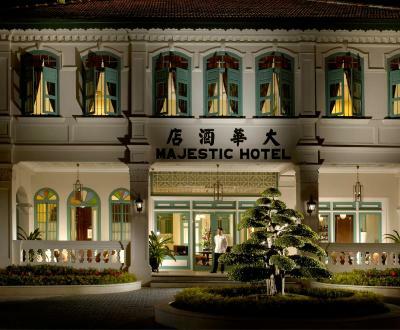 When would you like to stay at The Majestic Malacca Hotel? 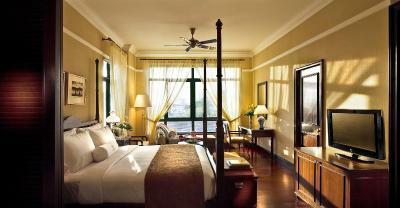 The spacious room is elegantly fitted with floor-to-ceiling windows, timber flooring and teak bed frame. The private bathroom is separated by wooden sliding doors and features a top bath as well as luxury bath amenities. This twin/double room features a mini-bar, seating area and satellite TV. 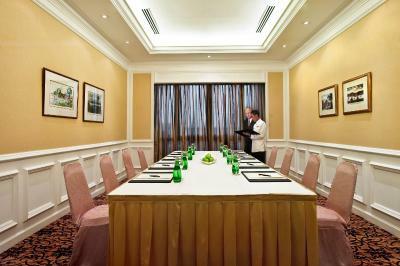 Guests enjoy a one-time set dinner for 2 people. 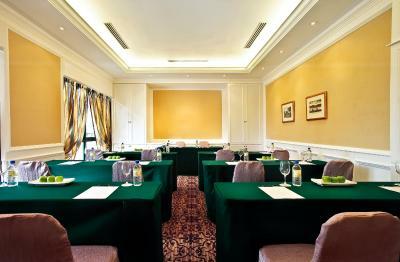 Located on the banks of the river which in yesteryear teemed with Chinese junks and spice-laden vessels from all over the world, The Majestic Malacca provides a glimpse into the splendid saga of an extraordinary empire. 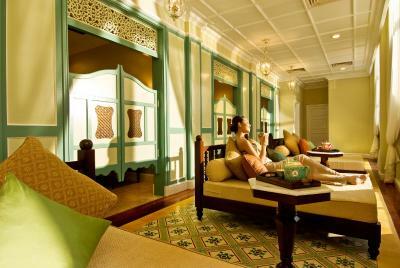 Steeped in a rich tapestry of multicultural influences reflected in its heritage architecture, diverse lifestyles and eclectic cuisine, this classic hotel is an integral part of Malacca’s colourful history. 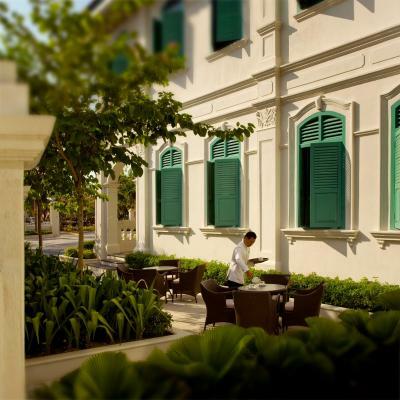 The heart of the hotel is a restored 1920s Straits Settlement mansion complete with its original porcelain tile flooring and teakwood fittings. 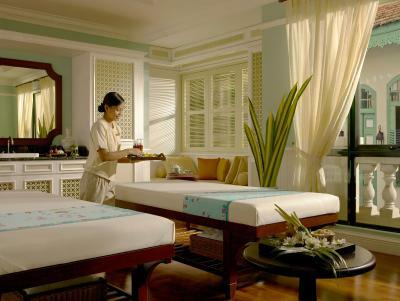 It has been sympathetically extended to house the guest rooms and suites as well as an award-winning spa that is a reflection of that era, melding luxury, modernity and tradition. 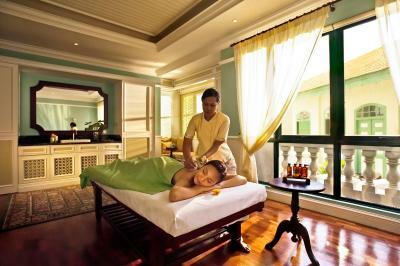 House Rules The Majestic Malacca Hotel takes special requests – add in the next step! One child under 6 years is charged MYR 110 per night when using existing beds. 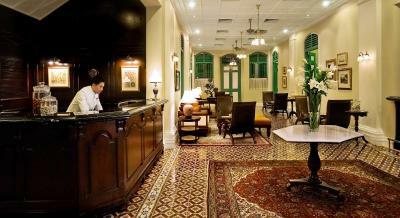 The Majestic Malacca Hotel accepts these cards and reserves the right to temporarily hold an amount prior to arrival. 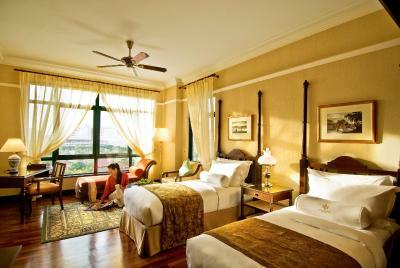 Please note that all bookings are subject to a MYR 2 Heritage Charge per room per night. This charge is not included in the room rate and to be paid upon check-in. Please be informed that the hotel doesn't accept a third party payment card. 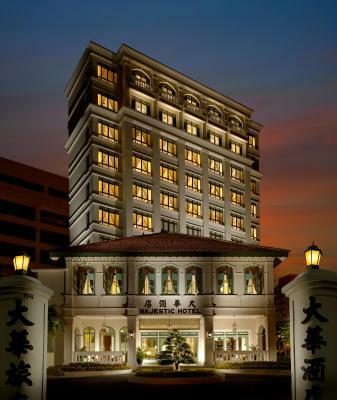 Please inform The Majestic Malacca Hotel of your expected arrival time in advance. You can use the Special Requests box when booking, or contact the property directly using the contact details in your confirmation. The staff, the beautiful rooms. 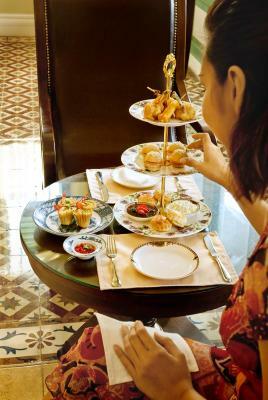 The prices of the Drinks / Afternoon tea were unreasonable. And we didn’t compare to prices in Germany or anywhere cheap, we compared to Singapore prices. The quality of the food was okay, but not extraordinary. Also, the Staff recommended us a massage place close by. Unfortunately, it turned out to be a place where they offer extra sexual services (we were a but traumatised after our massage there). 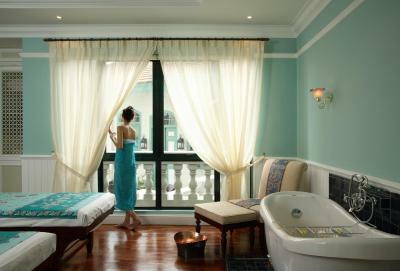 That was a Orkid Hotel, Paragon Spa. Also, we were a bit disappointed with the Pool. It looks great on the pictures but it’s quite small. 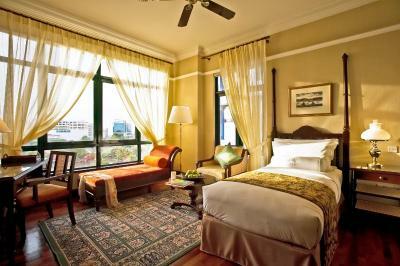 But overall I would recommend the hotel as it’s really cute and the rooms are nice and comfy. The service, the breakfast and the room. The location is on the limits of the city center and the access to the tourist attraction is not ideal. As the city is small it’s not far away though. Rooms were very nice, beds incredibly comfy and the bathroom large. The bath was a nice addition. Breakfast was great, as well as the service. Experienced some noise which we believe was the lift mechanism. It became less as to got later. One night we had noisy neighbours but this is not the fault of the hotel. Hotel was well located, staff were fantastic, room very comfortable, amenities suited style of hotel, breakfast was great providing a good selection of food types, dining room staff ever present to look after you. Nice colonial hotel in Melaka, feels very historical, good breakfast. the highlight of this hotel is the staff. I complained about the noise from the elevator shaft, and was gi ven another room instantly no questions asked. I was actually moved then to another room because the new one would be even further away. The amenities are excellent, and the shower area is also very nice. The building has a . great character and the food is also great. We had a fantastic stay and would highly recommend it again. Pricing was a little too high. Any special offers that you may have for the weekend and for number of days booked should also be applicable to those who do not book their tickets directly. We feel cheated when the rates are so much different. Small and homely atmosphere. Rooms were good and comfortable. Restaurants served good food. The bedsheets were not very clean, felt itchy sleeping in it. And the wifi was horrible! No internet connection at all! The bathtub. Breakfast and staff were very pleasant. The bathroom is beautiful but the sliding louvre doors to close it mean that you can hear EVERYTHING. It;s fine if you're an old married couple - but if you're new to each other you may want to stay somewhere where you can't hear every squeak from the loo.